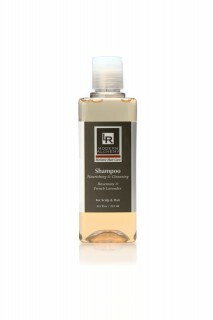 This handmade shampoo revives color-treated tresses via antiox-rich rosemary and lavender ($32, lrmodernalchemy.com). Eight essential aids for colored hair—including fade and heat protection—pamper processed hair in this leave-in spray ($9, lorealparisusa.com). This lightweight styling cream with acacia collagen provides major moisture retention and damage repair ($30, ecrunewyork.com). UV absorbers prevent color fading, while aromatic marigold extract, Mandarin peel, and camelina oil fight off frizz, add softness and sheen, and hydrate ($13 for mini, $28 for full, thedrybar.com).